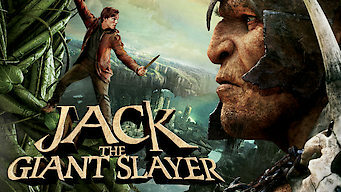 How to watch Jack the Giant Slayer (2013) on Netflix Netherlands! Yes, Jack the Giant Slayer is now available on Dutch Netflix. It arrived for online streaming on March 1, 2019. We'll keep checking Netflix Netherlands for Jack the Giant Slayer, and this page will be updated with any changes. After he accidentally opens a gateway that allows giants to enter the kingdom, farm boy Jack seeks to undo the damage and rescue a kidnapped princess. Gnarly vines shoot into the sky. Ready for a world of endless peculiarity? By all means -- take the first step.